"Responsible people thrive on freedom and are worthy of freedom." Apparently, the interpretation of "Freedom" at the Trump White House, has caused several heads to roll. It's true! The most powerful person in the world is struggling to acquire talent and has landed in a serious Talent shortfall & Employer branding situation. 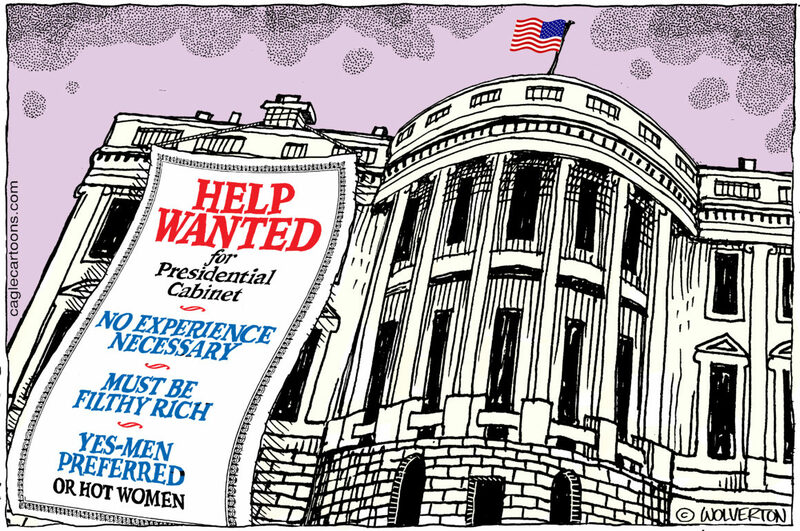 So much so, the vacancies are now posted on a Job board as President Donald Trump is finding it hard to evoke interest of potential candidates. 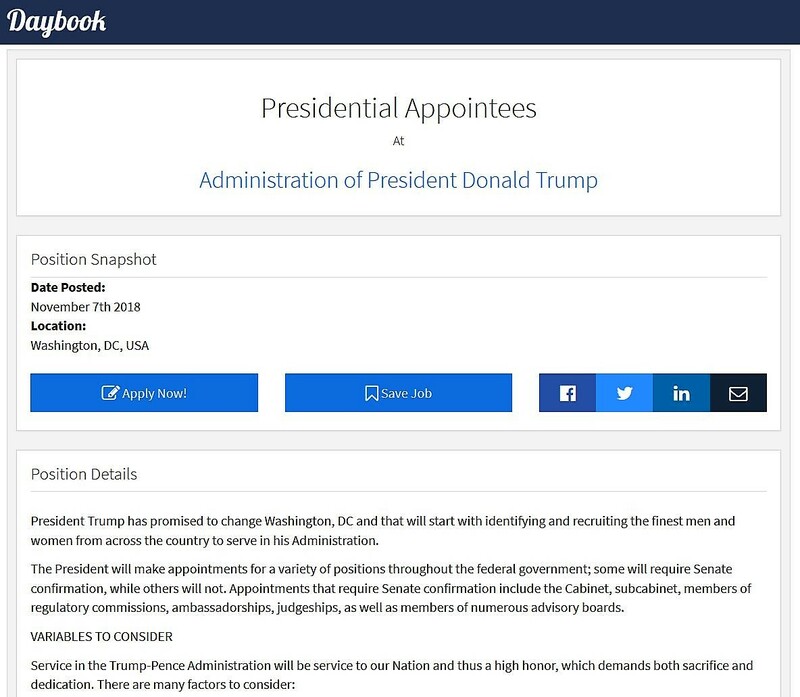 The Job description begins with: "President Trump has promised to change Washington, DC and that will start with identifying and recruiting the finest men and women from across the country to serve in his Administration." The President of the United States (POTUS) is said to have the authority to appoint 4000 federal officials. Several positions require Senate confirmation which include the Cabinet, sub-cabinet, members of regulatory commissions, ambassadorships, judgeships, as well as members of numerous advisory boards. In all other cases, the US President has complete discretion and authority. As of October 2018, the Trump administration has nominated just below 500 candidates, only about 300 of which have been confirmed. This is perhaps the slowest pace of recruitment, that's nearly six months behind the previous administrations. Donald Trump's opinion of his own team has been seen to sway often. The paranoia is so intense, that the First lady, Melania Trump also claims to have "Trust issues" with some members of Trump's administration. 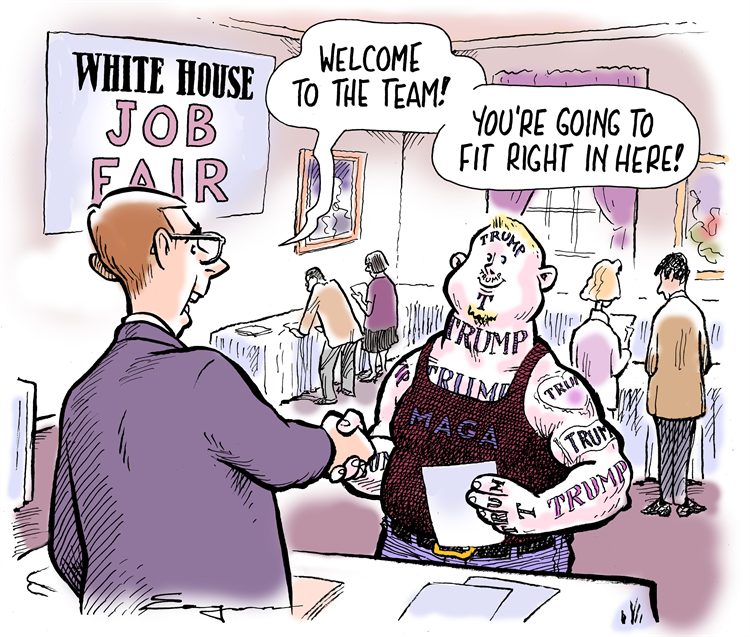 It's important to understand the decision making process of recruitments done by the Hiring Manager - President Trump. Here are some of Attributes of Trump's hiring process, also considered as "Casting" by many people. Trump thrives on team conflict and rivalries between his advisors gives him complete control. He relies on Gut instincts and Personal chemistry. Crowdsourcing & popularity drive his attention. Some say, he prefers people that "Don't need him"
He demands "Loyalty" and is largely untethered from policy compliance & ideology. Well encapsulated! Donald Trump's charisma isn't good enough to hire & retain people. These controversies will run up to next elections.